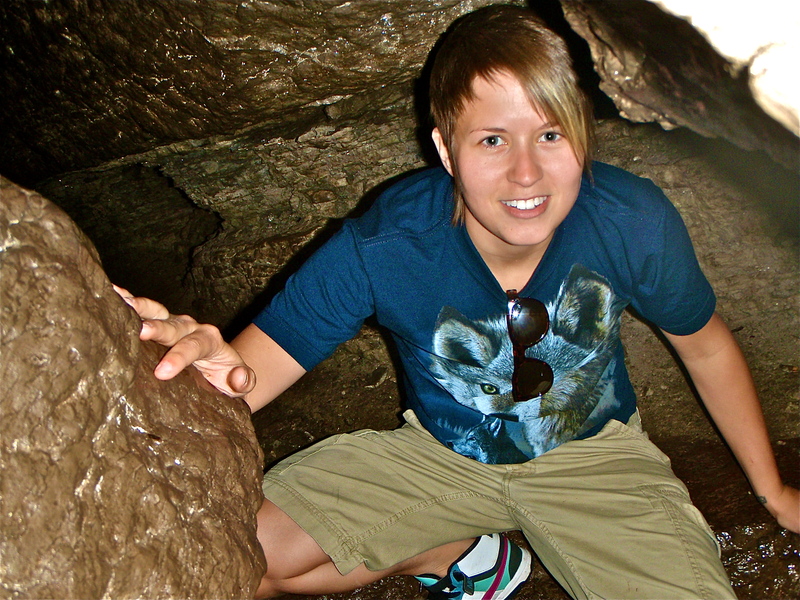 This week’s profile features Crystal Ernst, Ph.D. student at McGill University. I earned a B.Sc. (2003) and M.Sc. 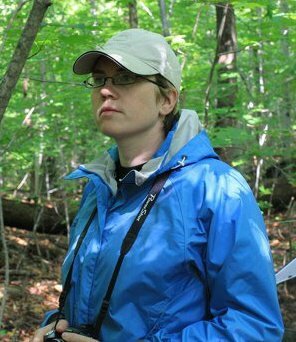 (2005) in Biology from Carleton University; my research there focused on plant-insect interactions and communities in the context of biological invasions. Between 2005 and 2010 I worked in the public sector for various federal agencies, including NSERC, the Canadian Food Inspection Agency, and Parks Canada. The five-year hiatus made me realize how much I actually wanted to pursue an academic career. I was admitted to McGill University in January 2010, where I am now a Ph.D. student in Dr. Chris Buddle’s lab. Work with students and others in the community to generate a collection of locally significant insects while providing informal training and educational opportunities; enhance the usefulness and meaning of the collection with relevant Traditional Ecological Knowledge (TEK). Broadly, I am interested in how the structures of ground-dwelling insect communities are affected by climate change and other environmental variables. 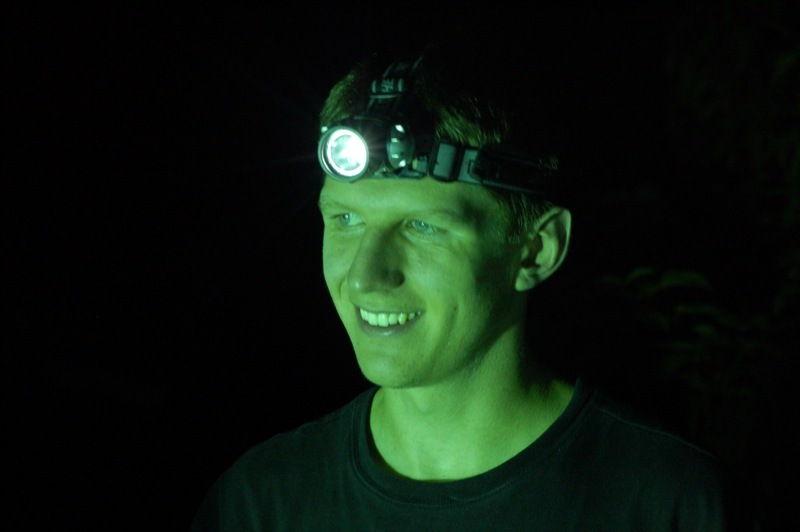 I will use data from my own field experiments as well as the sampling being conducted by the entire team to answer my research questions. I am thrilled to be a part of this program, and honoured to work with such a great team. I conducted my own project about salt marsh spiders during the last year of my undergraduate studies at the Université du Québec à Rimouski and since then I love spiders! Spiders play a key functional role as terrestrial predators and can be used as bioindicators. The Northern Biodiversity Program gives me the chance to study my favourite taxa in amazing sites in Canada’s north. The first theme of the project is to compare the structure of communities in different ecoclimatic zones and my role is to conduct this analysis for spiders. Also, this project allows me to compare different life history traits, like size or fecundity, at different latitudes. I’m a member of the second team who will go to Goose Bay, Schefferville and Hazen Lake. It’s really exciting to go in three ecoclimatic zones in the same summer! To sample ground dwelling spiders, pitfall and pan traps will be placed in two habitats (wet and mesic). Identification to the species level will require a microscope to observe sexual morphology. This laboratory work will be done at McGill University after the field season. If you are passionate by spiders and you have any questions, send me an email (sarah.loboda@mail.mcgill.ca)! I obtained a B.Sc. in Biology and Environmental Resource Sciences from Trent University. 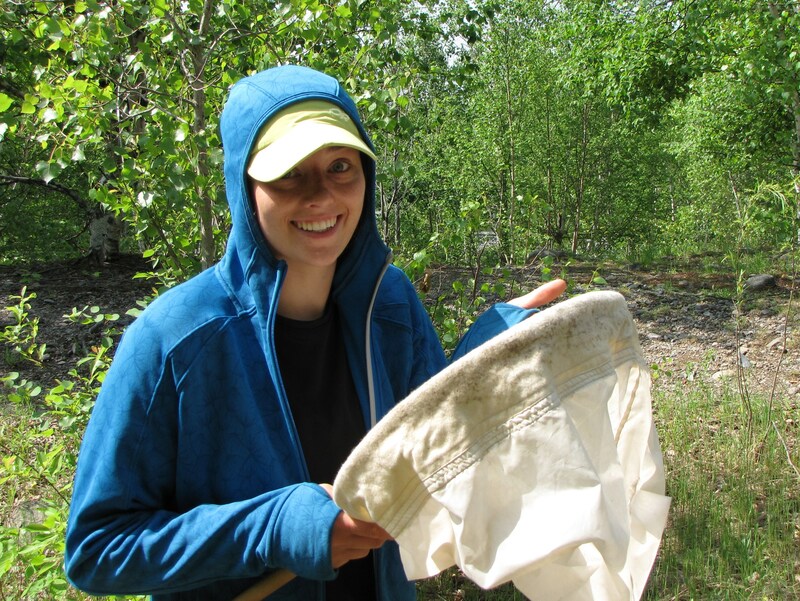 Throughout my undergraduate career I took various entomology classes, including medical entomology and forensic entomology – which triggered my interest in flies! In 2009 I worked for Agriculture Canada in the Diptera unit at the Canadian National Collection of Insects. After this job experience I realized that I wanted to focus my education around the field of entomology. Aside from catching Dipterans, my interests also include soccer, basketball, hiking, and traveling. My role in the Northern Biodiversity Program (NBP) is to assess the spatial distribution of higher flies between the northern-boreal region of Canada and the sub-Arctic and Arctic ecoclimatic zones. I will be collecting at three sites each summer (2010 and 2011), identifying, and then spatially comparing species abundance. A small portion of my project also includes comparing this distribution, diversity, and abundance to that of the Northern Insect Survey, which was conducted in the 1950s and 1960s. With only a few weeks to go until field season starts, I’m really looking forward to meeting the team and experiencing the depths of Northern Canada. Say “hello” to Christine Roussel, an undergraduate student at the University of Prince Edward Island! I grew up in the small town of Edmundston, in northern New Brunswick, where I developed my curiosity for nature. As a child, I spent most of my time exploring my backward, hoping to discover something new. Soon after I started University, I quickly realized that Ecology is what I like. I am currently an undergraduate student in Biology at the University of Prince Edward Island. This coming fall, I plan on completing my Honours on northern arthropods with Dr. Donna Giberson. 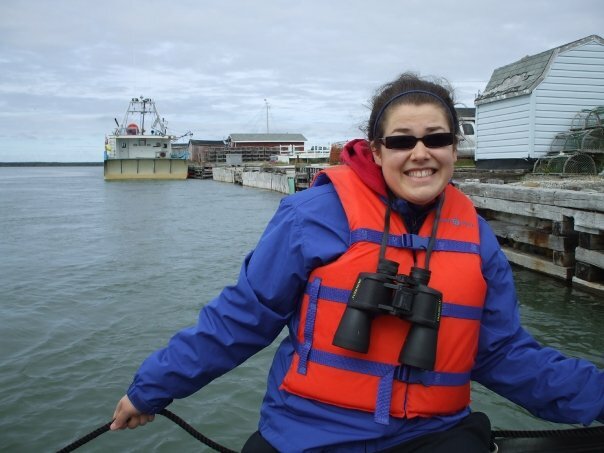 This summer, as a field assistant, I will be collecting arthropods in Goosebay (Labrador), Schefferville (Quebec), and Lake Hazen (Ellesmere Island, Nunavut). I will also be participating in the bulk sorting of our samples, and learning about this new, particular ecosystem. I am excited to take part in this year’s field season and I am looking forward to discover northern Canada’s ecosystem. I feel privileged to have the chance to assist in this incredible extended study concerning northern biodiversity. This is going to be a unique experience where I also hope to learn about the local communities and gain research skills in Ecology. Today’s Meet the Team post features Patrick Schaefer, a M.Sc. student at the University of Toronto. I likely developed my interest in nature with the vacations my father would take me and my sister on as children. We would get in the car with a tent and sleeping bags and leave civilization behind for a month. This way I got an appreciation for the great diversity of this country, even if at the time I probably missed my T. V. and video games. Yet even when not on vacation, my family would often visit national and provincial parks. I would take these opportunities to collect biological artefacts to add to my ever-growing collection. These items often included birds’ nests, bee hives, dead insects, seeds and cones of various plants and (to the eternal frowning of my mother) rabbit and deer droppings. What I gained from these experiences was an admiration and intuition about natural history of organisms and the environment. Throughout my undergraduate years at the University of Toronto I pursued my love of nature while working in the education department at the Toronto Zoo. There I got to share my knowledge and experiences with younger generations eager to learn. While at school I focused on taking as many field courses as I could, as well as any classes dealing with the natural history of organisms. These were the classes that were most relevant to the interests and intuitions I had developed over the years. Insects had become a particular fascination of mine over the years, as their diversity and adaptations are simply astounding. I spent the final two years of my undergraduate degree studying insect morphology, and relating details of structures to their evolutionary history. My role in the Northern Biodiversity Project (NBP) involves the collection and identification of biting flies: mainly mosquitoes, black flies and tabanids (horse flies and deer flies). Current species assemblages will be compared with those recorded during the 1948 – 1962 Northern Insect Survey (NIS) — a time when climate change was not a global concern. Because insects track environmental changes more rapidly than many other groups of organisms, this research has the potential to reveal distributional changes over a short (50 – 60 year) time period. In addition to contributing towards the overall research objectives of the NBP, I will be incorporating other research components as part of my M.Sc. in the Department of Ecology & Evolutionary Biology, University of Toronto. Molecular genetic data gathered from northern populations have potential to reveal phylogeographical patterns, providing important new insights into the refugia of biting flies that repopulated northern North America following the retreat of Pleistocene glaciers ca. 10,000 ybp. Additionally, populations of closely related species from across Eurasia will be studied to address long-standing species-identity problems, and to better understand biogeographical patterns of northern Holarctic biting flies. Finally, selected taxa of black flies will be revised in a ‘total evidence’ approach using morphological-, cytological- and molecular data sets. I very much look forward to the start of this ambitious project. While collections from the original NIS provide an important baseline from which to measure biotic changes over last half century, they lacked consistency in terms of the methods and intensity of sampling. My role in the NBP means I will have an opportunity to take part in a rigorously designed, quantitative, collecting program that will provide a foundation for future studies. This research will generate an important database for future generations of biologists, and hopefully create awareness about the fragile nature of arctic ecosystems in the face of climate change. This post is the first in a series of “Meet the Team” profiles. Each week we will introduce a new member of the NBP team; members will describe their background, role in the NBP and thoughts about the upcoming field season in their own words. We hope you enjoy getting to know us! 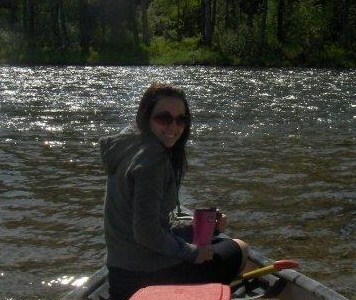 This week’s team member is Jana Aker, a M.Sc. student at the University of Prince Edward Island. I am from Sydney, Nova Scotia and I obtained a B.Sc. in Biology at Cape Breton University, where I took a variety of ecology related courses including entomology courses. My interest in insects started with a summer job that I held after my first year of university. I worked for the Canadian Food Inspection Agency (CFIA) in the plant protection program which involved trapping and collecting insects in order to monitor the spread of invasive pests. I collected many different species and was fascinated by the variation and wanted to know more, so I enrolled in my first entomology course. Insects continue to catch my attention and I am really looking forward to the experience in the north to see what species are there. The groups of insects that I will be looking at for the Northern Biodiversity Program (NBP) are the EPT’s, or in other words, Ephemeroptera (mayflies), Plecoptera (stoneflies) and Trichoptera (caddisflies). 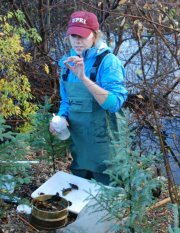 I will be collecting the aquatic nymphs and the terrestrial adults of these groups, identifying them and comparing the species that I find to the species that were collected during the Northern Insect Survey in the 1950’s and 60’s. When I tell people that I am going to be spending my summer in the Arctic they cannot understand why I would possibly want to spend the summer somewhere cold, but I am really looking forward to the experience. I get to spend 7 weeks of my summer with a team of very goal oriented and enthusiastic people in places that not many people get to see. It is going to be a really great summer.